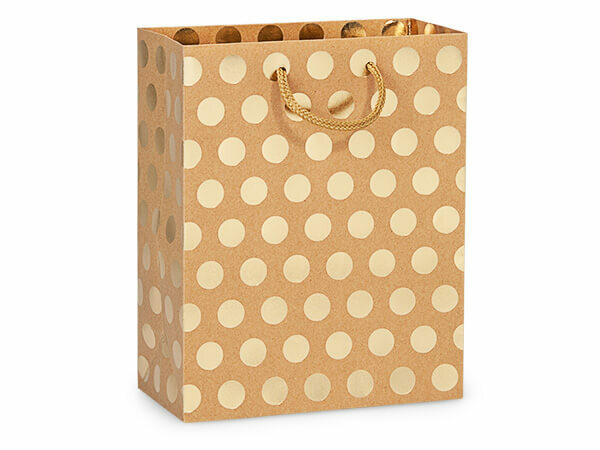 These cub size kraft gift bags are beautifuly hot stamped on all 4 sides with a gold dot. These bags are the perfect size for wedding gifts, but are versitle enough to also work for masculine gifts! Sold in bulk cartons of 100.